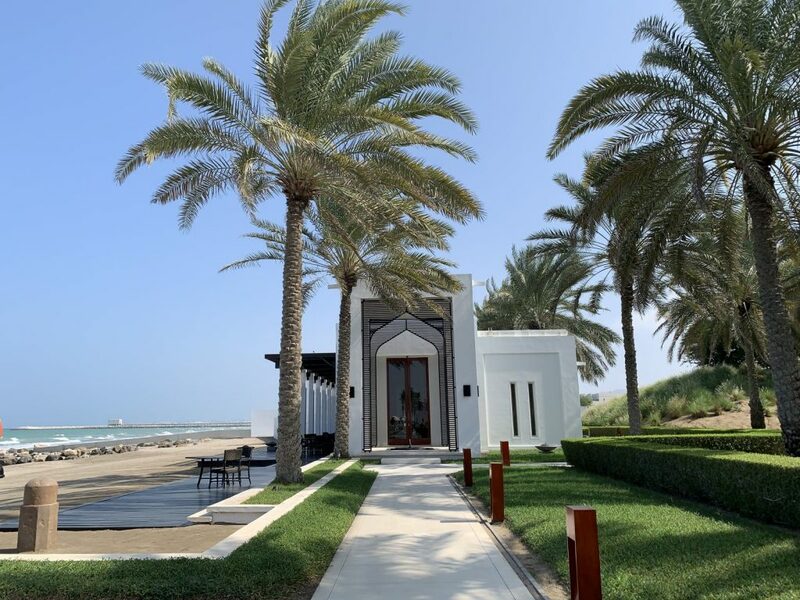 Oman’s burgeoning tourism industry is evident to visitors as soon as they arrive at Muscat International Airport’s gleaming and gorgeous new terminal (which opened in 2018), you get the sense that now is the time to visit. 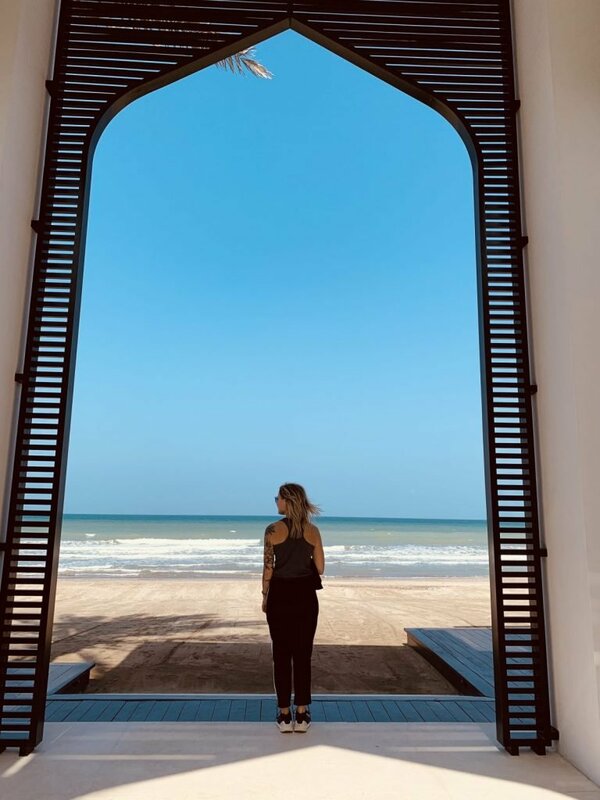 Most visitors to Muscat are European sun seekers taking a mini-break, and many never leave the grounds of their luxury hotels during their stay. 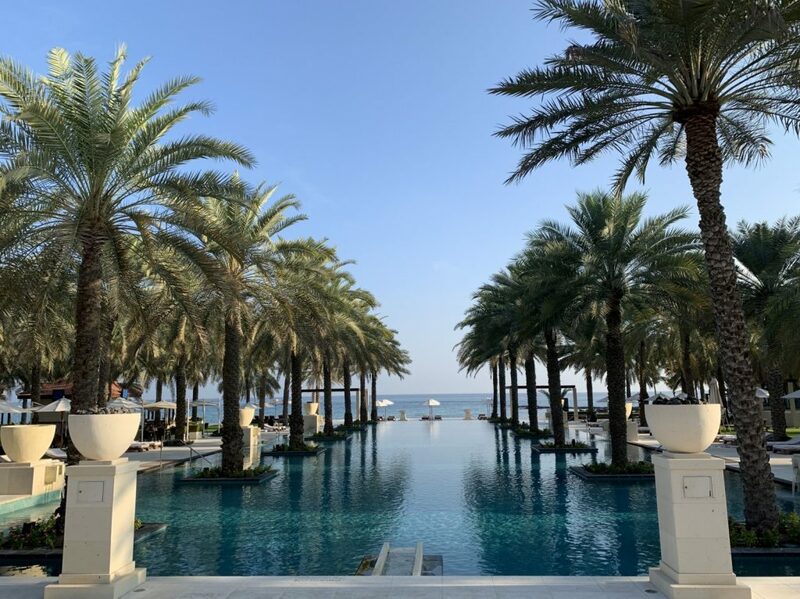 It’s understandable since The Chedi and Ritz Carlton Al Bustan Palace are entirely self-sufficient and pleasant destinations in their own right. 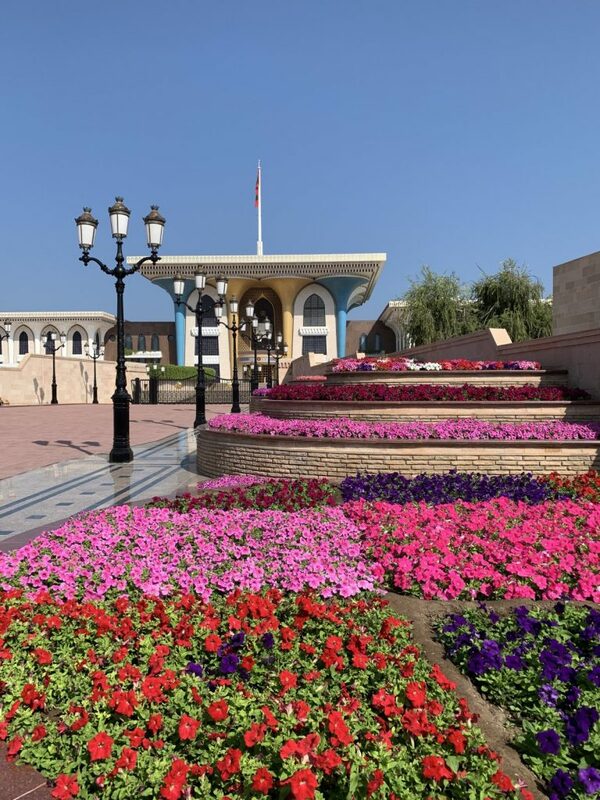 But any visitor who wants to understand Oman better should get out and explore Muscat. 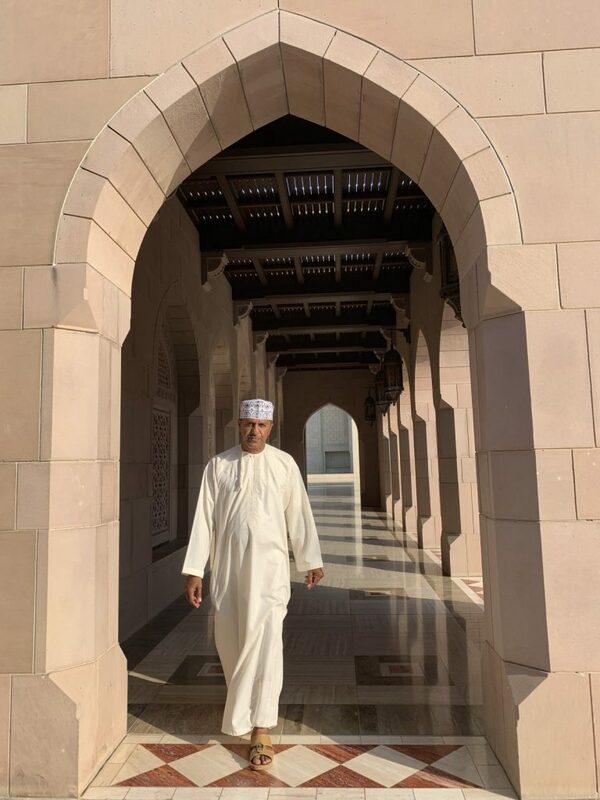 During my stay I arranged a private photo tour with local guide Abdullah Alshuhi who runs Oman Photo Holidays. Abdullah is a great guide and the tour was good value for money. 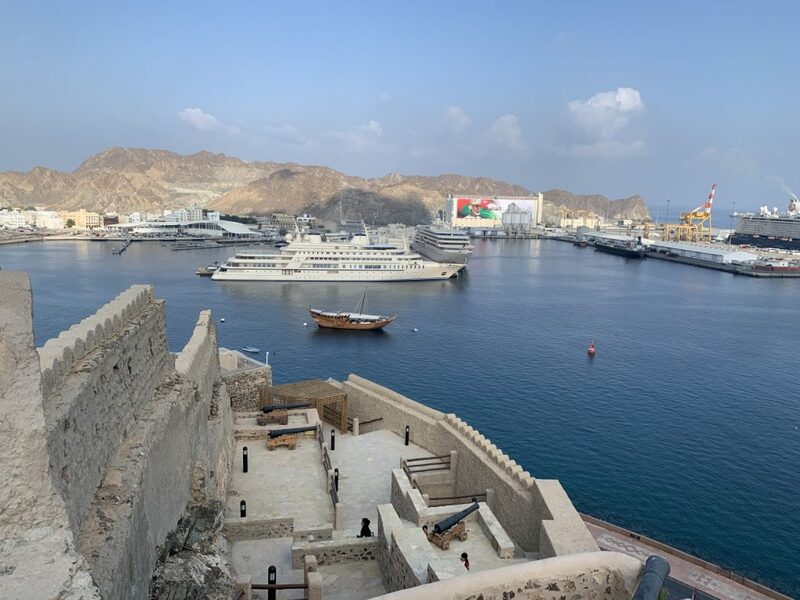 The tour gave me context about everyday life in Oman as well as its history as a powerful Portuguese colony to its current state as an absolute monarchy being led by Sultan Qaboos bin Said Al Said (currently the 3rd longest-reigning monarch in the world). 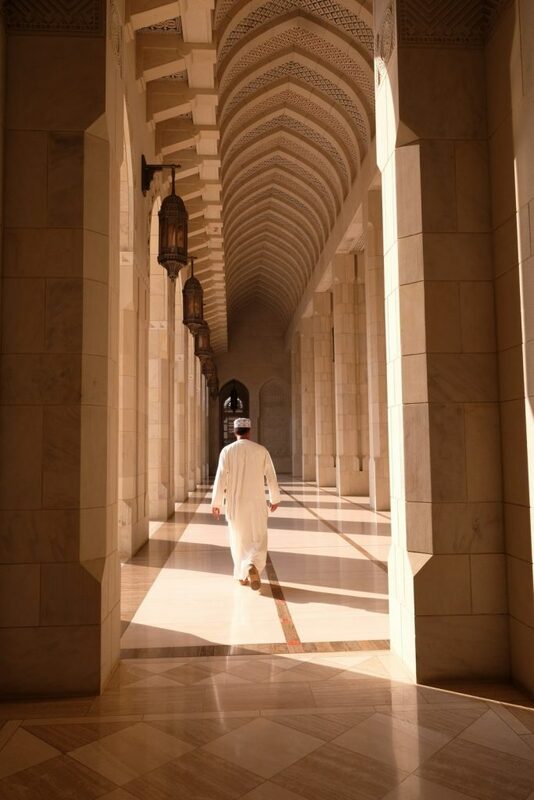 The photo tour was a good mix of things to do in Muscat. 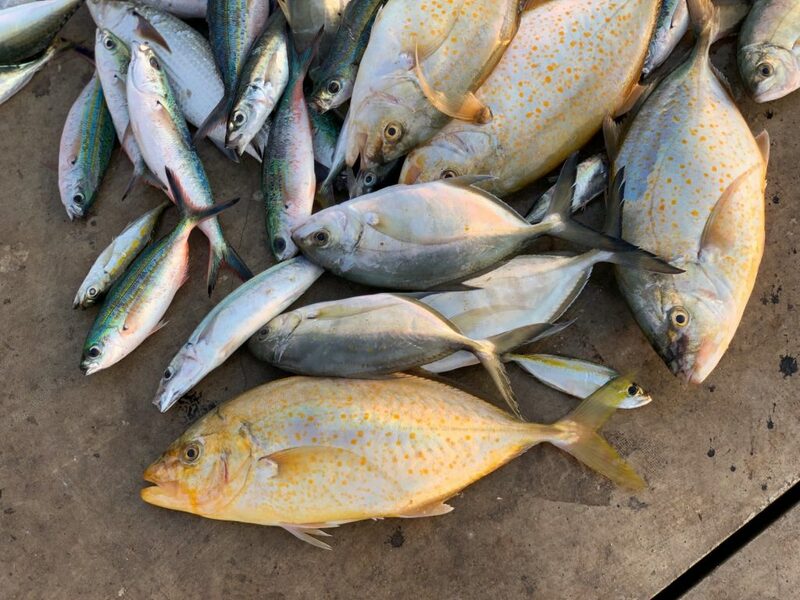 We started the day before dawn watching the sunrise at the Capitol Area Yacht Club before getting to the local fish market to see the daily catch come in and get auctioned off. 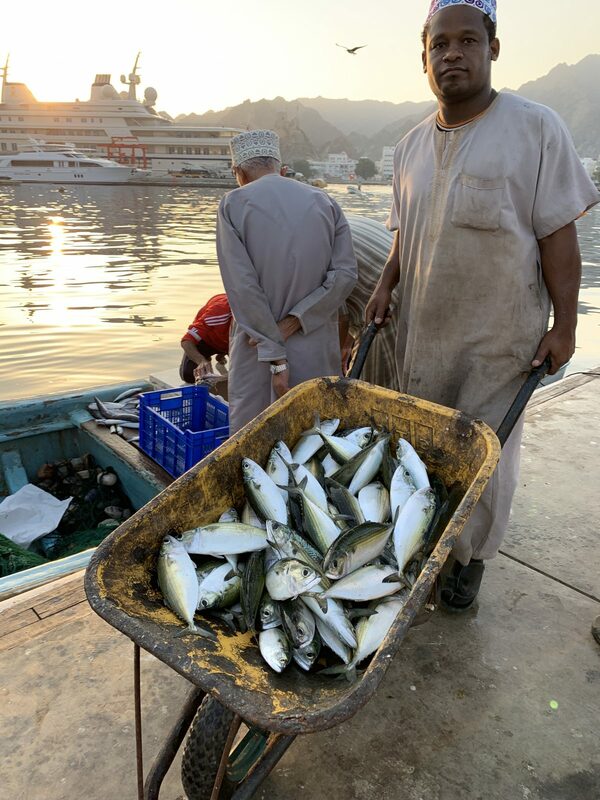 Local markets are great ways to get a glimpse into everyday life in a country, and Muscat’s fish market and Mutrah souk lack the hard sell that comes with mass tourism in better known Arab countries. 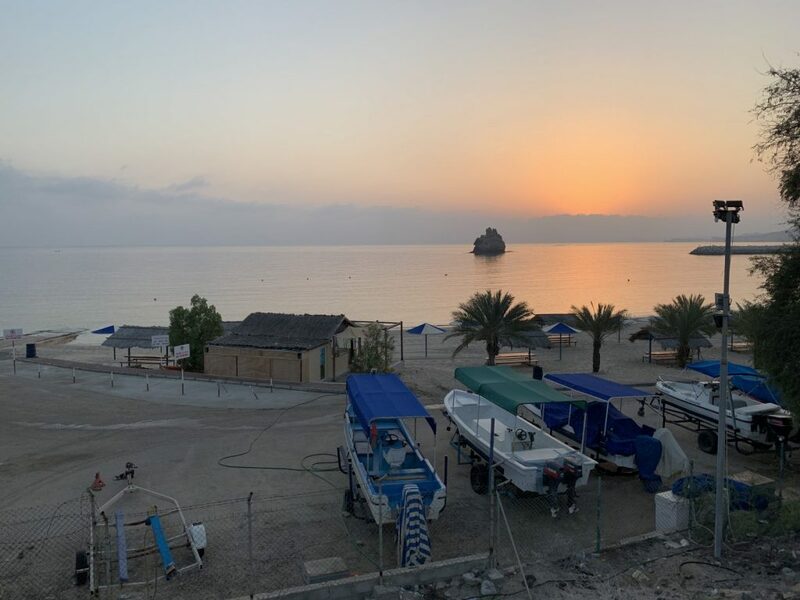 One of the most striking things about Muscat is how quiet it is. 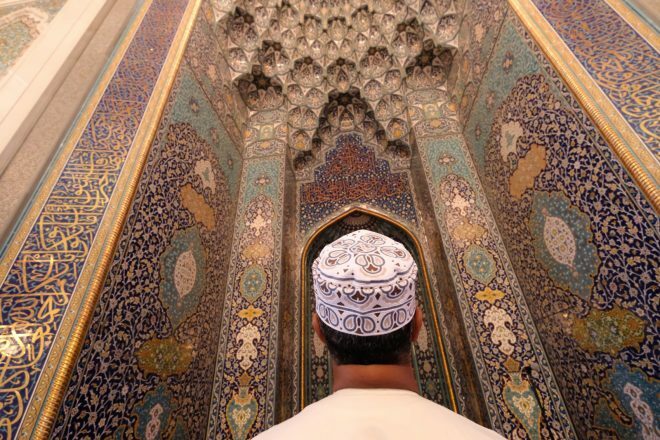 Even the call to prayer from mosques seems subdued. 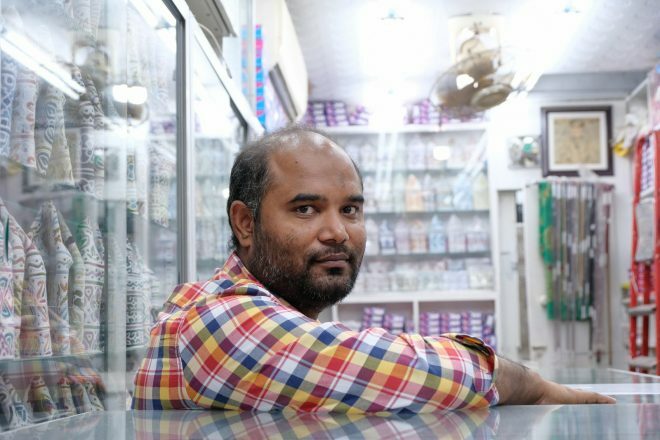 Abdullah worked for a local daily newspaper before becoming a tour guide and has contacts all over the city. He’s a people person and a great ambassador for the country. 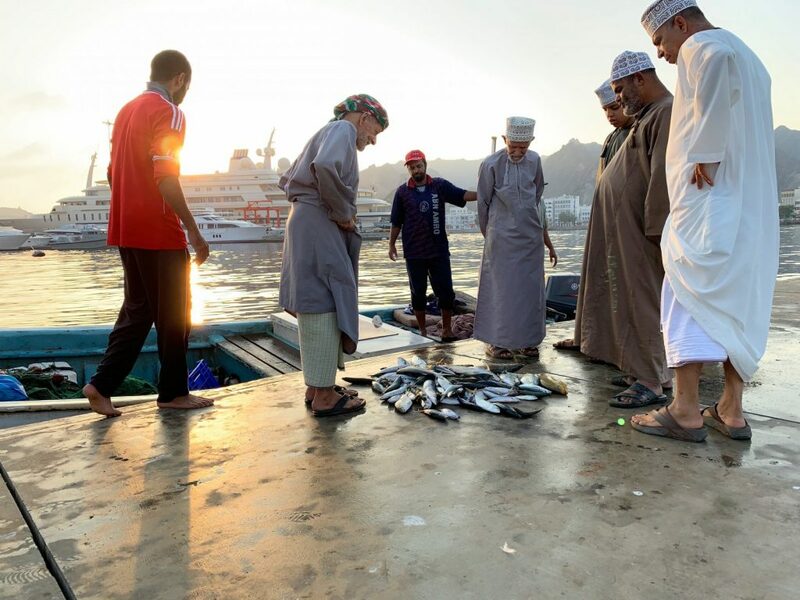 The Omani people were welcoming. The country has a population of less than 5 million people, over two million citizens are guest workers (mostly from Bangladesh and India). 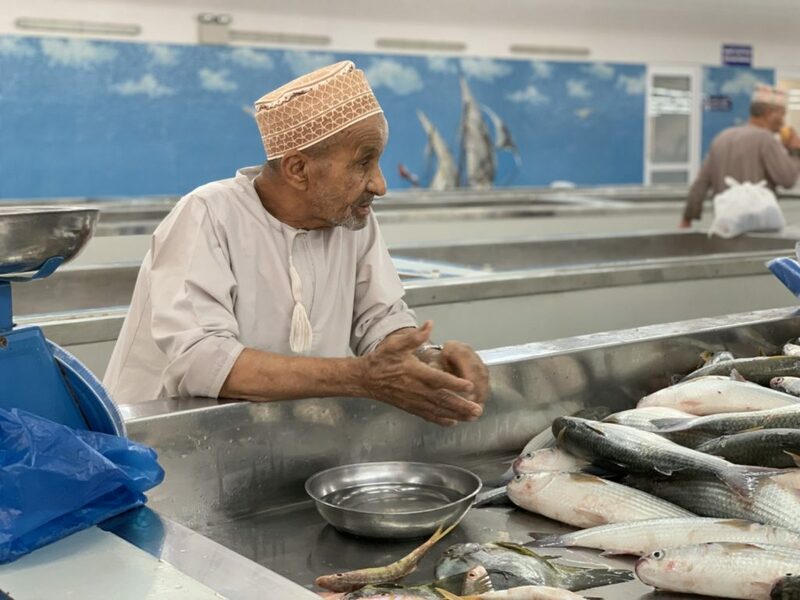 While the fish market and souk were mostly for locals, I did not get the sense I was intruding or my presence unwelcome during my visit. 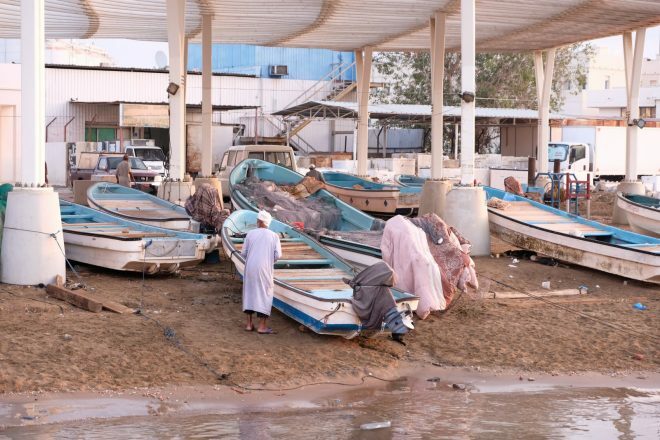 Oman is a wealthy country. 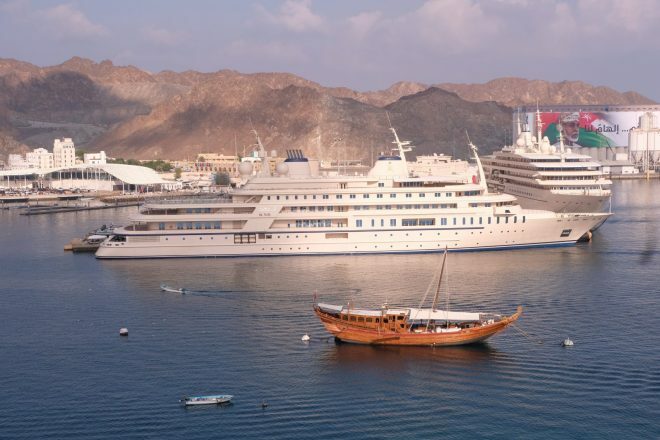 It’s no shocker to see the Sultan’s 508 foot long super yacht, the Al Said it’s impressively large tender on display in Muttrah port. 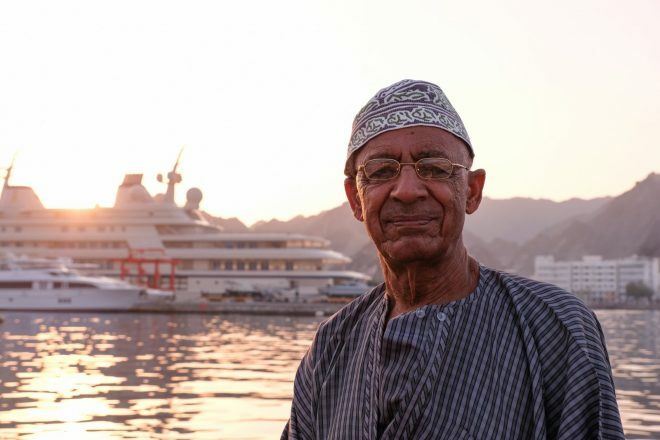 The yacht was completed in 2008 for an estimated cost of US$ 300 million. 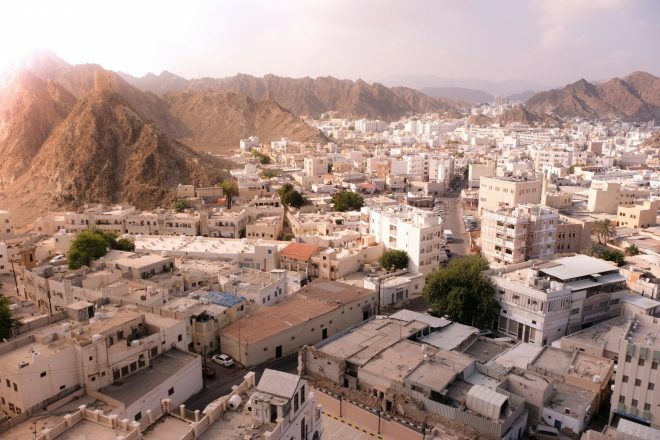 Built by the Portuguese in the 1580s, Muttrah Fort is also worth a visit and offers a great view of the area. 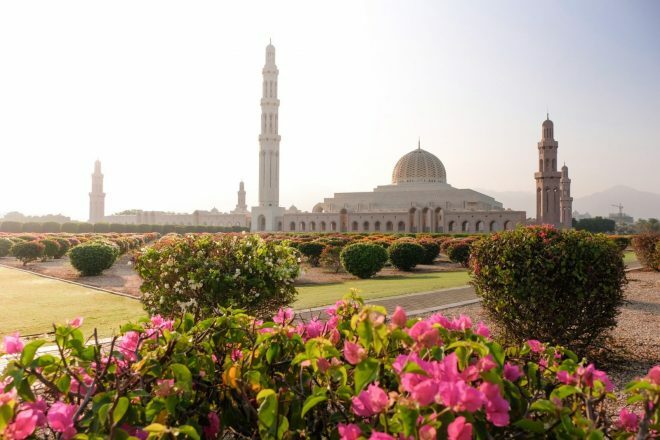 Oman is a Muslim country which prides itself on being more tolerant than neighboring Yemen and Saudi Arabia. 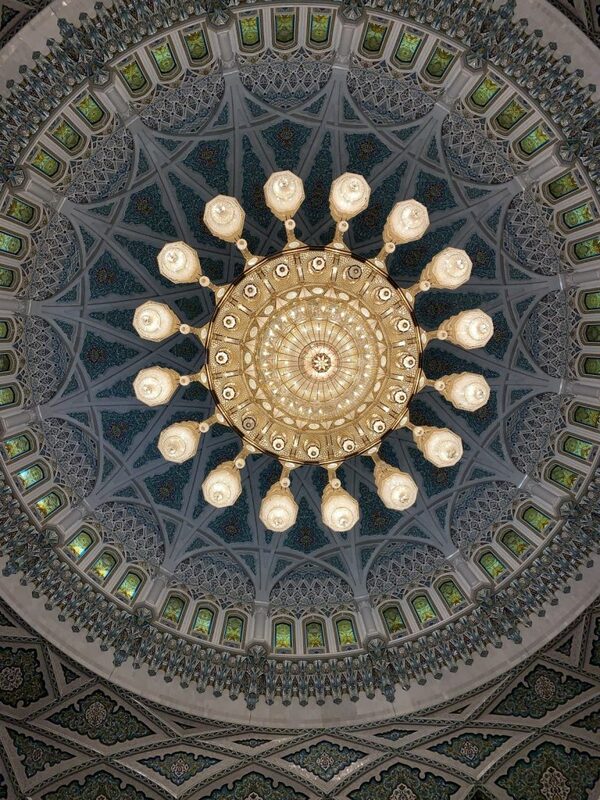 Muscat’s main mosque, the Sultan Qaboos Grand Mosque is the open to guests and worth checking out. 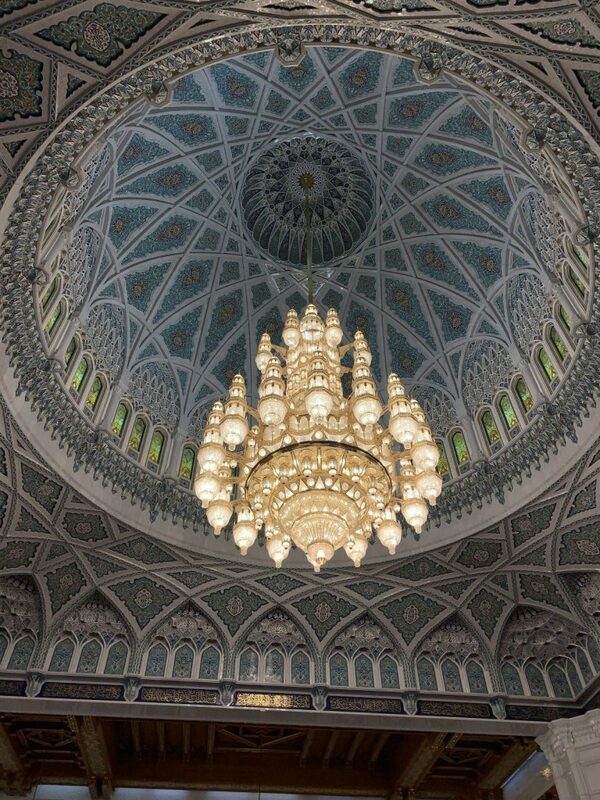 It’s beautiful but underwhelming if viewed after visiting Abu Dhabi’s Shiekh Zayed Grand Mosque in Abu Dhabi. 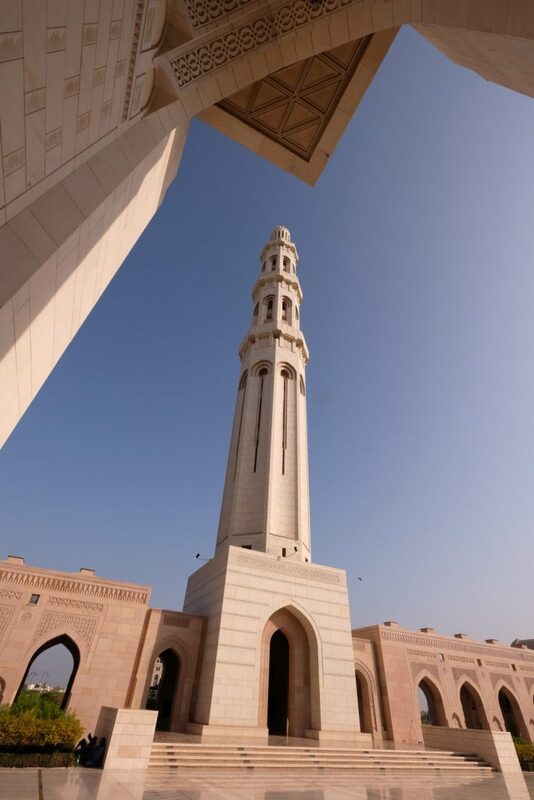 There is a dress code for guests visiting the mosque and robes can be borrowed while visiting. 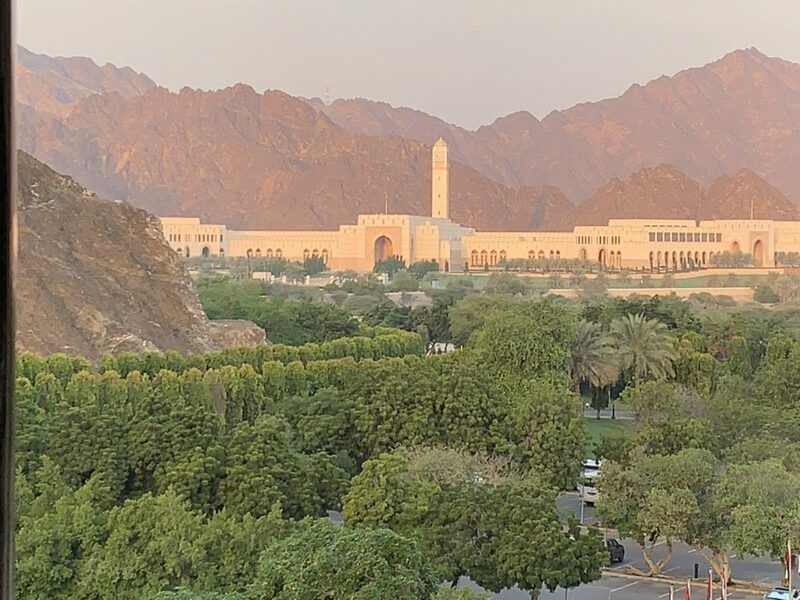 The upside is that since Muscat is not yet overly developed, it’s easier to avoid crowds at the mosque (and other tourist destinations). Muscat’s Opera House is another thing to see in Muscat, but unfortunately it was closed due to the national holidays during my visit. 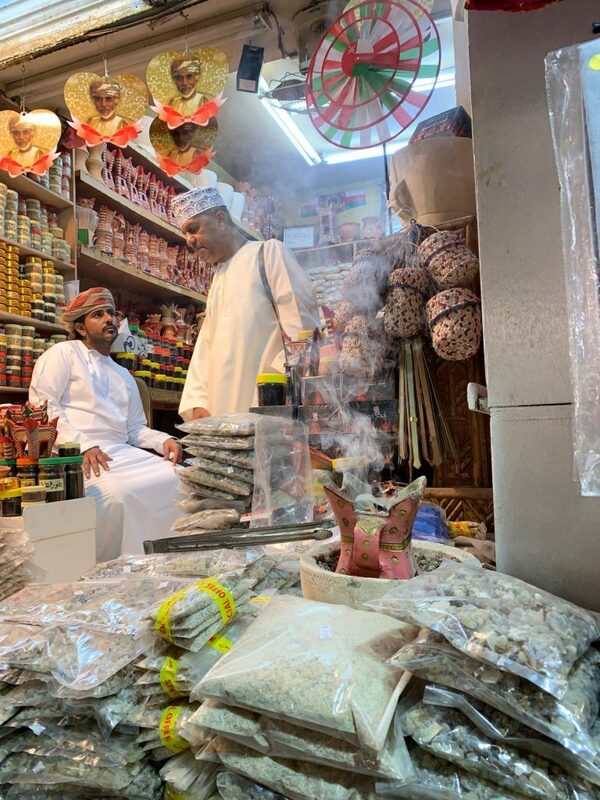 If you’re looking for things to do in Muscat, The Muttrah Souk shouldn’t be missed. 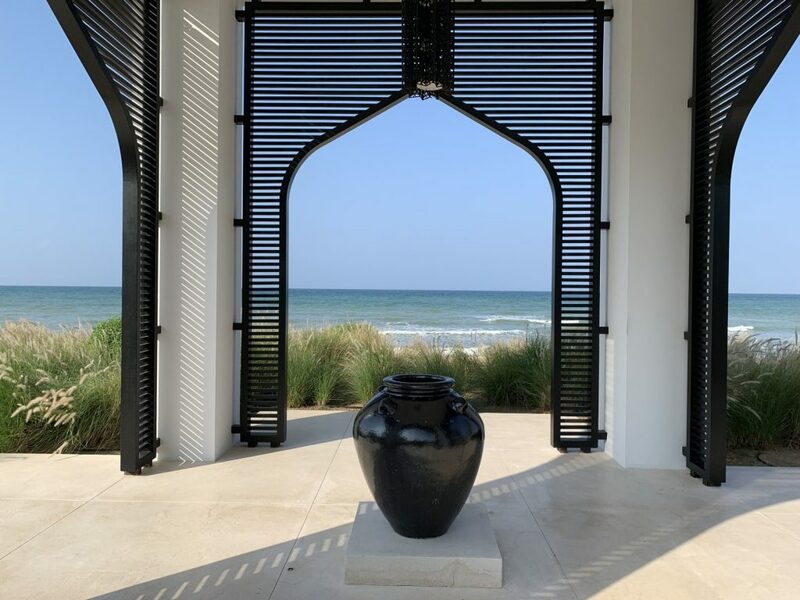 Not only does it cater mostly to locals, it is decidedly lacking in barkers and hard sell of markets in Marrakesh and Istanbul. 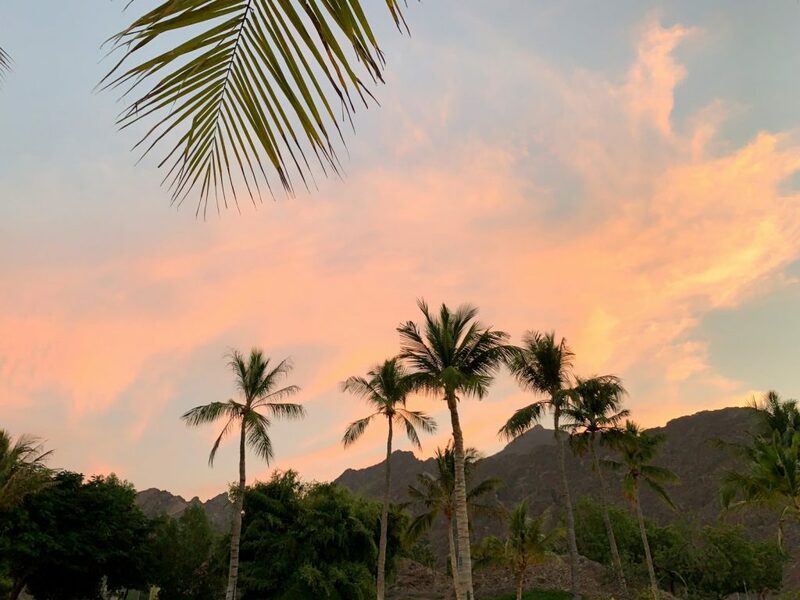 Visitors can explore and not be hustled or hurried. 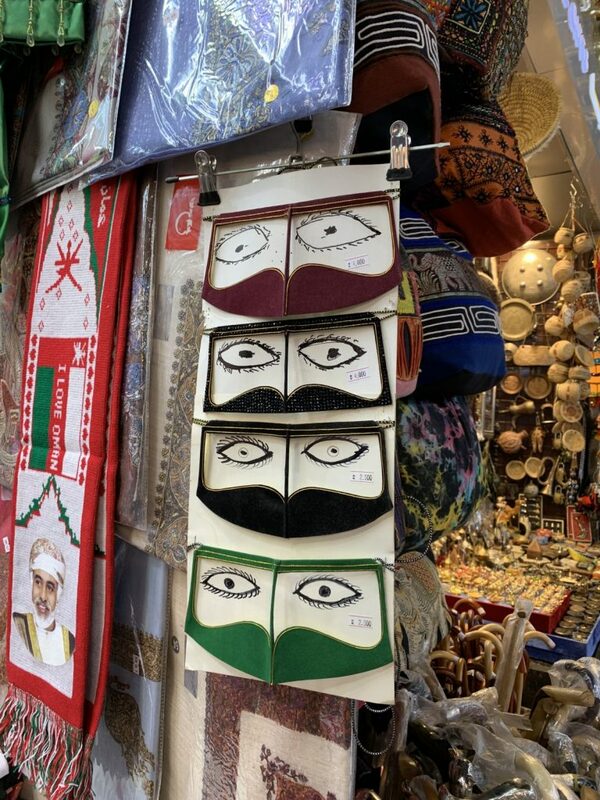 Everything from Omani hats to spices and masks worn by Bedouin women can be purchased at the souk. Prices are negotiable and haggling is still the norm. 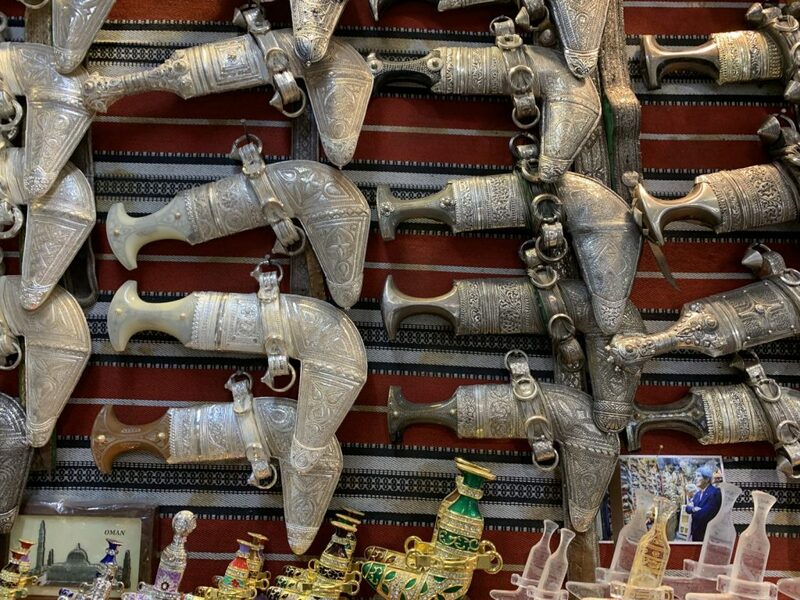 Ceremonial daggers with a distinct bend in them are on display and for sale here. The bend is so they don’t bother the wearer when they sit down. Guards at many of the hotels wear these daily. Abdullah knows how to pace a tour. We stopped for a layered fruit juice during the peak heat of day. While I wouldn’t have thought to get a juice, I’m glad I did. 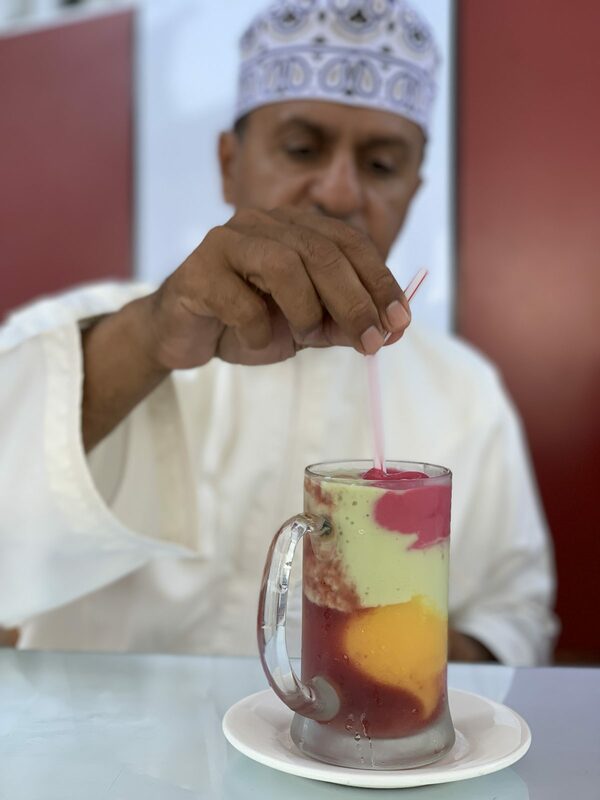 It wasn’t overly sweet and was one of the best things I ate during my trip to Oman. Pro tip: In a country with no local microbreweries, you can always expect A game fruit juice and mocktails! Some hotels do not sell alcohol and employ mocktail specialists instead of bartenders. 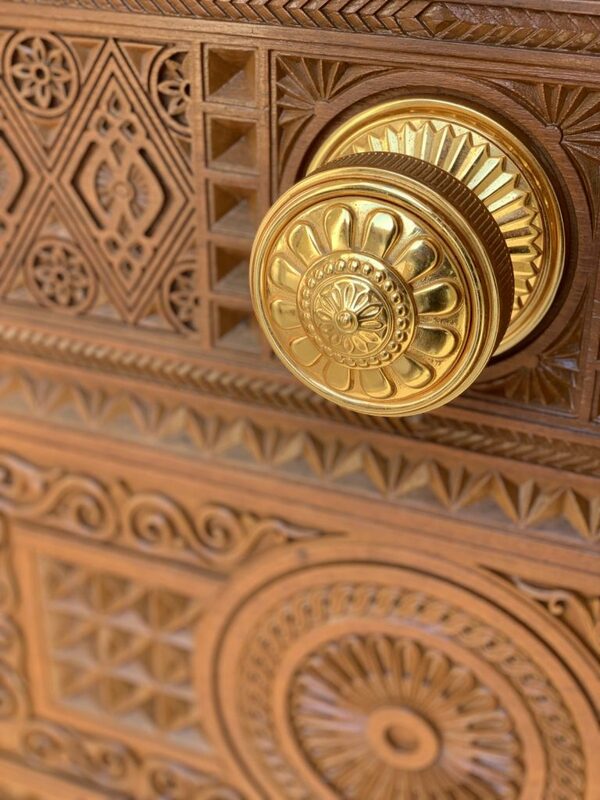 We also visited the Al Amam Palace in the old quarter during our tour. It’s a great example of mid-century architecture. 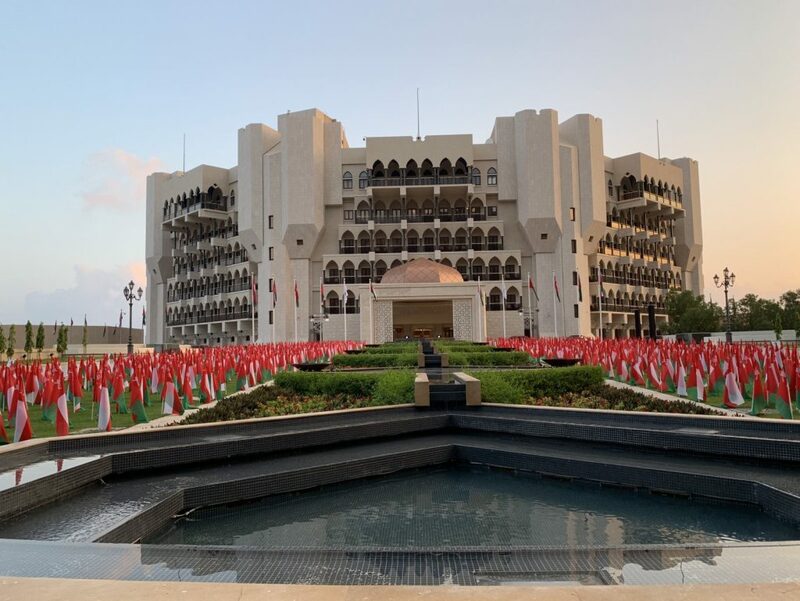 Since I visited during the Oman national holidays, it was fun to see the Ritz-Carlton Al Bustan Palace dressed up with flags.